Well, well, well. Download is going to be getting another dose of WWE NXT action! 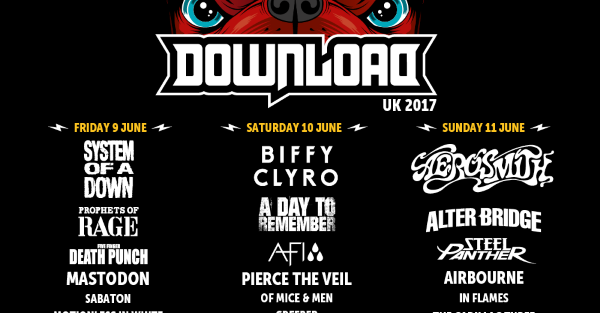 Following the overwhelmingly positive response and reaction to superstars such as Finn Balor, Shinsuke Nakamura and Asuka appearing on the hallowed Donington turf last Summer, the Download Festival team have brought NXT back for a second appearance for 2017. Download was my very first show in NXT. The combination of NXT Superstars and massive musical acts, entertaining tens of thousands of passionate fans makes Download a unique experience. Returning to Download as NXT Champion will make this an extra special moment for me as a performer. With unique moments such as WWE Vice President (and complete wrestling legend) Triple H being given the Metal Hammer spirit of Lemmy award on the Download main stage by Megadeth’s Dave Mustaine, Bobby Roode’s debut and many more, the presence of NXT at Download 2016 helped bring an extra special feel to the weekend, something that will hopefully be reproduced this year. With none other than Chris Jericho already scheduled to play the festival with Fozzy on the Sunday, what odds on Y2J adding a few more names to his list in the Download NXT arena for a special appearance or two? You’ll just have to be there to find out. Grab your tickets for Download 2017 from the official festival website. 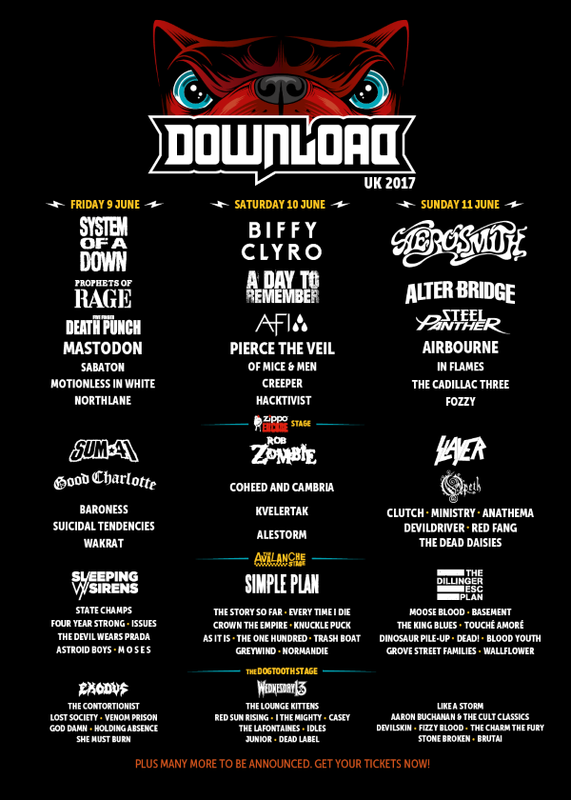 The WWE Superstars join stage headliners System Of A Down, Biffy Clyro, Aerosmith, Sum 41, Rob Zombie, Slayer, Simple Plan, Sleeping With Sirens and The Dillinger Escape Plan and dozens more bands at Donington Park from June 9th – June 11th. Stay tuned to Rock Sins for more Download news and previews as we get closer to the festival!